Scooper - Technology News: Is this the biggest good news story of our times? Is this the biggest good news story of our times? 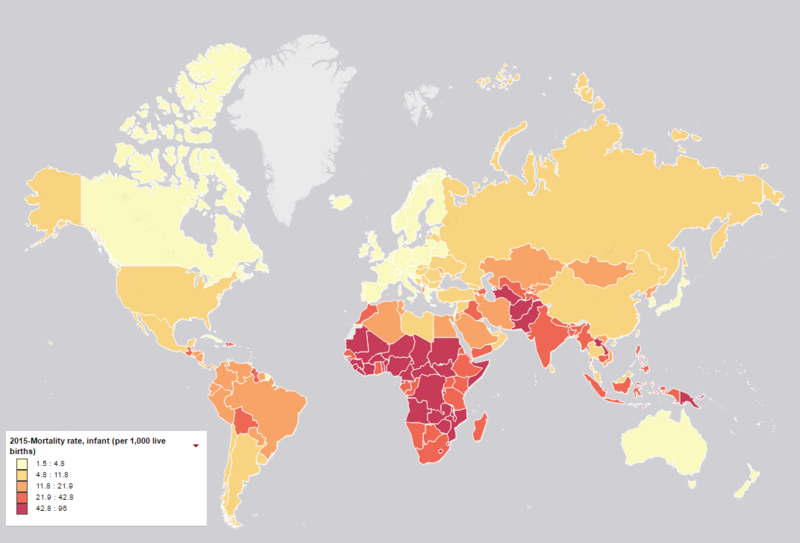 Child mortality rates have declined sharply in the last 25 years. In 1990 almost 9 million children died before they reached their first birthday , a fact that helped spur the global community to commit to a reduction in child mortality as one of the United Nations Millennium Development Goals. Between 1990 and 2015 the incidence of child deaths under the age of five dropped by more than half, from 90 to 43 deaths per 1000 live births. Infant mortality (death occurring within the first year of life) made up 75% of all under-five deaths in 2015. Although the world was unable to reach the millennium commitment to reduce child mortality rates by two-thirds, many more children are now living past the age of 5. Liberia has made the biggest improvements, data from the World Bank shows . In 1990 the country had the highest rate of infant death but has since reduced deaths from over 170 to 53 per 1000 live births. As of 2015, Angola is the country with the highest infant mortality rate, with almost 10% of all babies dying in the first 12 months of life. Almost all countries with available data saw improvements in the 25-year period, with many countries more than halving rates. Dominica is the only country to see an increase in the number of babies dying, from 14 to almost 20 per 1,000 live births. Although the numbers have dropped for most nations, almost 6 million children under five died in 2015. And although children born in low-income countries now have a higher chance of survival than those born 25 years ago, their chances are still considerably less than those born in the developed world. The gap between rich and poor nations is still wide. Sub-Saharan Africa has the highest child and infant mortality rates, with children 12 times more likely than children born in rich countries to die before their fifth birthday, just as they were 25 years ago . Almost half of all infant deaths in 2015 were caused by preventable diseases and conditions, such as pneumonia, diarrhoea, malaria and meningitis. The rise of cost-effective interventions such as vaccines and better nutrition has saved the lives of many children, along with the rise of digital and mobile technology which has improved access to critical services for hard-to-reach communities. These improvements aren’t enough, and the global community has once again committed to giving children a better chance and reducing deaths by 2030. The UN’s Sustainable Development Goals aim to end preventable deaths of babies and children under five, and reduce overall rates to 12 infant deaths in every 1000 live births, and 25 under five deaths per 1000 live births. 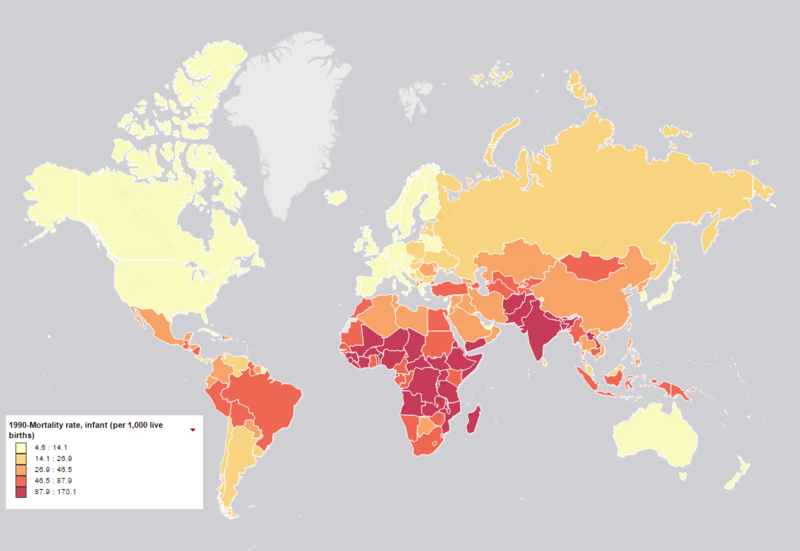 What progress has been made in reducing child mortality?